MIDI keyboard controllers are a vital tool for musicians both while playing live in front of an audience and as part of the music writing process using DAW software and plugins, whether it be in a home studio or professional setting. Unlike traditional keyboards, most MIDI keyboards don’t actually produce sound themselves. They plug into a computer or audio device with a USB or MIDI cable and operate in tandem with music software to produce sound. MIDI keyboards come in a wide variety of shapes and sizes. Some have pads, keys, sliders, wheels, knobs, and various buttons. Some only have pads or keys. It all depends on what you need. 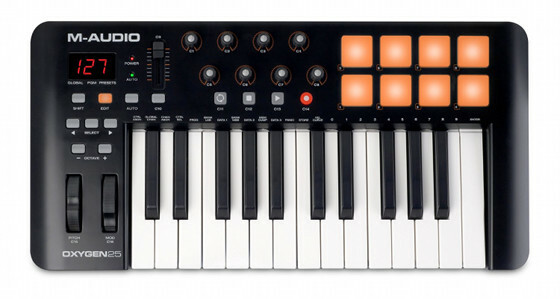 This article is going to focus on MIDI controllers that have the most bang for their buck. Buying a controller with pads only or a controller with keys and no pads is more expensive in the long run if you decide to get one or the other later. It makes most sense to just buy a more advanced MIDI keyboard controller from the beginning since you can get a really nice one for under $200. The best keyboard controllers under $200 are mostly 25-key versions, along with mini 25-key models, which have smaller keys than standard keyboards. But there a couple of decent controllers with pads and 49-keys for under $200 if you really want the larger keyboard. Below is a list of the best MIDI keyboard controllers for under $200. The list is in order by price. The Novation Launchkey Mini has gone down in price a lot lately, making it one of the best economical choices. What sets it apart from similarly-priced models are the 16 velocity-sensitive launch pads with three colored lights that can be programmed for all kinds of things. It also features eight assignable rotary controls, seven function buttons, and two performance buttons. The Launchkey Mini works with Windows, Mac and the iPad, and supports all the major DAW programs including Ableton Live, FL Studio, Pro Tools, Cubase, Reason, and Logic. It comes with one of the better software packages too. There’s also a Novation Launchkey 25 with standard size synth-weighted keys for $149, but for that price the upgrade Novation Impulse 25 (see below) is a much better buy for just $20 more. The Akai Mini MKII is the second-generation mini model. It adds a thumb stick for dynamic pitch and modulation control and it has better pads than the original. It has 8 backlit velocity-sensitive pads with two banks, there are 8 assignable knobs, a sustain button, octave up and down, note repeat, and more. 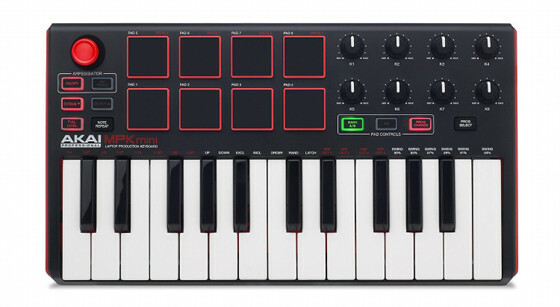 The Akai Mini works with Windows and Mac, and supports the main software platforms. It also comes with a solid software package, including Akai Pro MPC Essentials, SONiVOX Wobble, and Hybrid 3 by AIR. The Alesis V25 is among the latest models from Alesis, along with the more-advanced VI series listed further down this page. The Alesis V25 has full size keys, so it offers a good alternative to the two mini models mentioned above if you want something larger. It has eight drum pads, pitch and modulation wheels, 4 assignable knobs and 4 assignable buttons, octave up and down, and it supports a sustain pedal. I ended up buying this model myself. Here’s the link to my Alesis V25 Review. There’s also the larger 49-key Alesis V49 available for $99 and the 61-key Alesis V61 for $139. All offer the exact same features and buttons aside from the additional keys. The Alesis V25 comes with Ableton Live Lite and Xpand!2 by AIR Music, an advanced virtual instrument plugin that comes with over 3000 sounds, including guitars, bass, drum, synthesizers, loops, etc. The Alesis QX25 is an older model from Alesis, but it has the best combination of features and price for under $100. 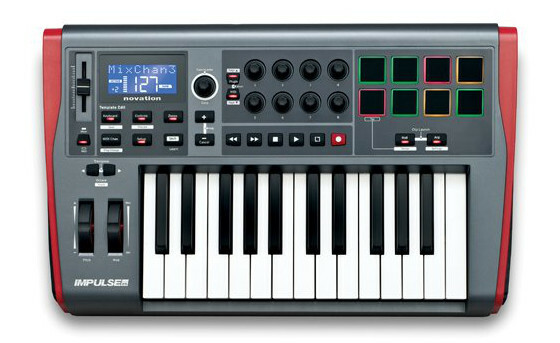 The Alesis QX25 has 25-keys, eight faders, four drum pads, pitch and modulation wheels, eight knobs, octave buttons, sustain, and MIDI out. On the downside, some reviewers complain that the keys aren’t as sensitive and the build quality isn’t as good as other models. The Alesis QX25 works with most music software for Mac, PC, and iOS. There are two version of the M-Audio Oxygen 25, one with pads and one without. M-Audio doesn’t get as much respect as some of the other brands, but their Oxygen line offers a lot of features for the price. The 25-key version has synth-action velocity-sensitive keys, 8 velocity-sensitive trigger pads, 8 assignable knobs, one fader, pitch and mod wheels, and more. 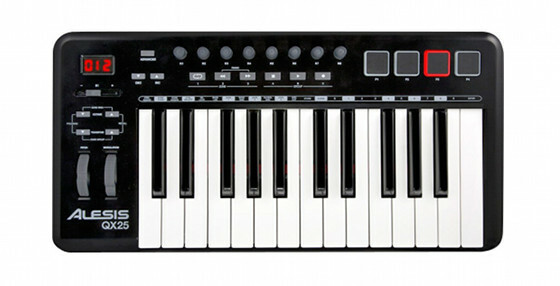 There’s also a 49-key model of the M-Audio Oxygen with more features for $169. It works with most DAWs and comes with Ableton Live Lite. The Novation Impulse 25 is a higher-end model with a much better build quality than the cheaper models on this list, but it still comes at a reasonable price. Reviewers love the feel of the keys and pads of this model. 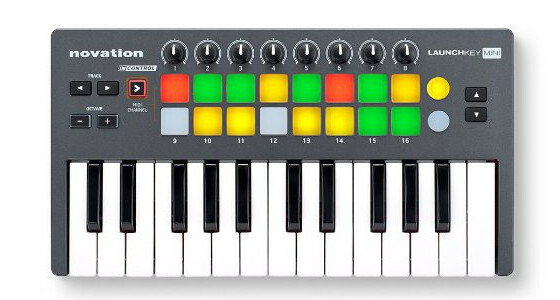 It has semi weighted keys with after touch, 8 pads with LED lights, there are 8 knobs and 9 faders, MIDI in and out, mixer controls, pedal inputs, and more. The Novation Impulse comes with automap 4 software that automatically works with most DAWs so that you don’t have to manually assign knobs and pads for everything. It also comes with a hefty software package: Ableton Live Lite, Novation Bass Station, Loopmasters sample library with over 1GB of samples, and Mike The Drummer with 502MB of live drum loops and breaks. 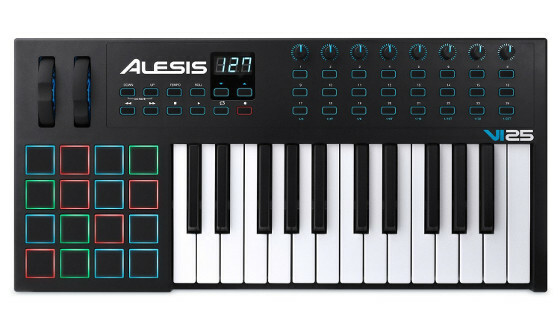 The Alesis VI25 is among the most recent line of pad/keyboard controllers from Alesis. It has 16 pads that are backlit and pressure and velocity sensitive. There are 8 assignable knobs and 24 assignable buttons, pitch and mod wheels, full size semi-weighted keys with after touch, MIDI out, tempo, octave, roll buttons, and more. The Alesis VI25 comes with Ableton Live Lite and Xpand!2 by AIR Music, which is an advanced virtual instrument plugin that comes with over 3000 sounds, including guitars, bass, drum, synthesizers, loops, and more. The Novation Launchkey 49 is one of a few 49-key controllers available with pads and advanced features for under $200 and is one of the best options for a cheap larger keyboard with a ton of controls. The Novation Launchkey 49 has 16 velocity-sensitive pads with LED lights, there are 9 faders, 9 buttons, 8 rotary knobs, transport controls, pitch and mod wheels, and a total of over 50 hardware controls. It’s compatible with PC. 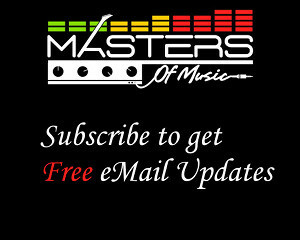 Mac, and the iPad and comes with Ableton Live Lite and a loop masters sample pack. Probably the most popular model on this list, the Akai Professional MPK25 is a high-end keyboard controller with all the features you could ask for in a 25-key MIDI controller. It has 12 pressure and velocity-sensitive pads with 4 banks, there are 16 assignable controls, 12 knobs, tap tempo, transport controls, MIDI in and out, mod and pitch wheels, 2 assignable pedal inputs, and more. The Akai Professional MPK25 is plug-and-play for Mac and Windows. It comes with Ableton Live Lite and Ignite Music Creation Software and designed to work with most DAWs, including Pro Tools, Logic, Cubase, Studio One, Reaper, Digital Performer, and more. If you don’t want to spend a lot on a MIDI controller and just want something functional that can get the job done, the Akai MPK Mini MKII or the Novation Launchkey Mini are both really good choices for under $100 for all the features they offer, and if you want larger keys for under $100 both Alesis models offer good value. Make sure to check out the video reviews to see how tiny the mini models are. It’s hard to tell when all the pictures are the same size. The mini models are very small and portable, and almost look like children’s toys. The standard size 25-key models are bigger and look more like professional recording tools, with better keys and pads and overall better build quality. If you don’t need the super-portability low-cost factor of a mini models, the Novation Impulse 25 is hard to beat for $199. It has the best combination of features and price. The Akai MPK25 is really nice too, but some say the responsiveness of the pads and the feel of the keys aren’t quite as good as Novation’s. 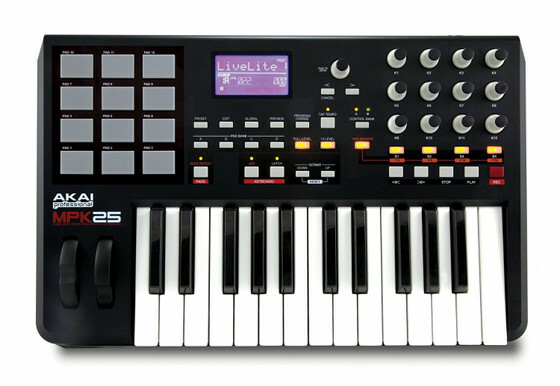 There’s also a newer model of the MPK25, the Akai Professional MPK225, which sells for $249. It has really good reviews for those willing to spend a little more. Update: After using the Alesis V25 (see review) for a few months, I came to the conclusion that 25 keys just aren’t enough. If you only want to use the keys to trigger sounds or trigger commands then 25 keys may be enough, but it’s too much of a pain in the arse if you want to use it for any actual keyboard or piano related stuff. You can play like two chords on a 25-key, then you’ve got no where else to move, so unless you want to record all the high and low parts separately and constantly switch octave buttons, you’re better off getting at least a 49-key. I ended up getting a refurbished Akai MPK61 on eBay for cheap to replace the Alesis V25, and it’s a much better overall controller. I highly recommend the Akai MPK models. What about arturia Minilab? the software bundled is beyond any other in this price tag, and has a sustain, wooden sides, velocity sensitive pads with light, 16 infinite knobs and pitch and bend original ribbons.. It has pretty good reviews reading around online, but when I was researching these for myself and putting together this list I wanted something with drum pads and I wasn’t sure if or how well the pads on the MiniLab would work for that. In my home recording studio i use the M-AUDIO AXIOM 49 and i’m very very satisfied. I have it for many years and perform live and also to connect with sound modules and my DAWs.